Last year, T-Mobile made news when it dropped $8 billion on 600MHz spectrum in an FCC auction. Now one T-Mo executive says that the carrier will likely spend a few billion more for additional spectrum in the near future. Speaking at an investor event this week, T-Mobile CFO Braxton Carter said that T-Mo will likely receive a “massive explosion in cash” over the next 7 to 8 years due to the tax reform legislation that was recently passed by the U.S. government. The total could reach $7 billion. Carter also said that T-Mobile said that a “return to shareholders is a true reality” when considering what else to do with T-Mo’s cash. One thing that T-Mo won’t be doing with its cash is buy a media company, with Carter saying that T-Mobile has no interest in owning or developing its own media entity. “Enabling that content to be curated by the consumer is really our approach,” the CFO said. Spectrum is a hot commodity for carriers, and so it’s no surprise that T-Mobile plans to use it’s upcoming billions to get even more spectrum. Still, it’s good to hear that with 4G LTE network improvements still happening and a 5G rollout coming soon, T-Mobile plans on spending some cash to grow its spectrum portfolio. I got confused for a moment reading the headline. I thought they were referring to Spectrum (IE Time Warner Cable), which made me think Spectrum is going to be buying something from T-mobile. Good to see that T-mobile is pushing ahead to make themselves more competitive. Just keep the prices lower! How about increasing employee pay for better employee retention and just happier employees? Not a one time bonus, which is schlock PR move, but an actual wage increase across the board. FYI I am a shareholder also. The tax windfall could be split more than a few ways. From what I heard all employees got a pay raise in January I believe. Everyone just got a pay increase. And they get annual stock grants. I did not know about that employee pay raise, thanks everyone! They just gave every retail employee a hefty hourly raise in February. In some cases it was up to a $4 per hour raise (commission is separate.) Also, like someone else mentioned, they give free stock grants to all employees annually as well. The benefits are also top notch. Trust me, T-Mobile is not lacking in the employee compensation and satisfaction area. I have been with the company for over 5 years now, and it just keeps getting better and better! Also, turnover is very low. I would say about 70% of the people i started with in 2012 are still with the company today, and this is in the RETAIL side. 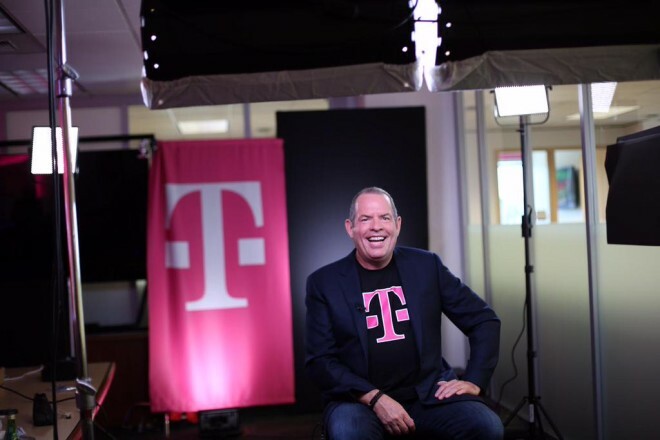 I honestly cant fathom being any happier with an employer than i am with TMUS. I cant speak for TPR though. Those are obviously separate, individual companies. I hear the corporate MetroPCS employees are also taken care of too. T-Mobile literally changed my life! Glad that they are not going to buy a media company. Better to spend that money improving the network. Most customers recoil at forced bundling of services, let them choose which streaming services they want on their own.